Montreal, 1970, and the city is on the frontline of bombs and hoaxes by the Front de libération du Québec (FLQ), a somewhat anarchic terrorist group. Constable Eddie Dougherty is the son of a French mother and an Irish-Canadian father, and has only been a cop for a couple of years. Somewhat out of place amongst his French speaking colleagues, Dougherty works as a patrolman out of Station Ten, responding to bomb alerts and trying to keep the peace. Also at work in the city is the ‘vampire killer’, who has murdered three women. When a fourth woman disappears in Dougherty’s old neighbourhood he is drawn into the periphery of the investigation. As more and more cops are pulled into the task force to deal with the FLQ, the murder investigation stalls and Dougherty steps in to fill the gap determined to try and bring the perpetrator to justice. 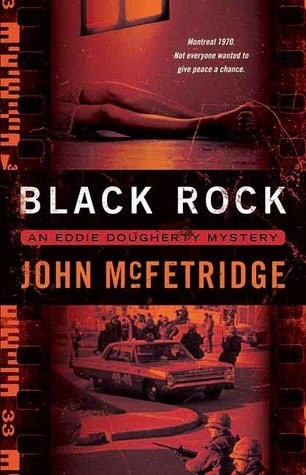 There’s much to like about Black Rock, a historical police procedural set in Montreal in 1970 -- attention to historical detail, the sense of place, the intersecting story lines, and the characterisation. McFetridge bases the story around two real cases -- the ‘vampire killer’, a serial killer operating in the city, and the Front de libération du Québec (FLQ), a separatist terrorist movement that left hundreds of bombs across the city before moving on to kidnapping two high profile officials -- placing his central character, rookie cop, Eddie Dougherty, on the periphery of both cases. Dougherty is still trying to work out his place in the city, and on the force, both of which are increasingly dominated by Francophones. He’s a regular cop, competent but not exceptional, but since he knows the family of the fourth 'vampire' victim he becomes determined to try and help solve the murders when the investigation is put on the back burner to concentrate on capturing the key members of the FLQ. His problem is he only has one clue to go on, the sighting of a white car with a black top that was seen near to where the latest victim was discovered. It’s a slim lead and he’s not really sure how to pursue it. By focusing on Dougherty and his stuttering, hesitant investigation and not one of the lead investigators of either the murders or FLQ actions, McFetridge stifles the potential tension somewhat, the story simmering along without ever really boiling over, but that’s actually one of the reasons I liked the tale so much. The story focuses on the everyday, mundane policing in exceptional circumstances; on trying to grind out a result with limited resources and experience. Moreover, McFetridge does a great job of placing the reader in Montreal in 1970. The result, is a slice of social realism that I imagine would translate into a great television series. Bob Dillon has always been fascinated by bugs. His all-consuming bug-bear is that mankind’s obsession with killing them using chemicals is making them more and more robust and is poisoning the planet. He’s working on a chemical-free solution, however; cross-breeding assassin bugs to create hybrids that prey on pests such as cockroaches. He’s hoping this method will result in his dream of owning his own company truck topped with a fibreglass bug. Unfortunately, Bob is down on his luck. He’s just quit his job with a traditional exterminator, his wife has also lost her job and is working as a waitress, and they owe money on their rent and utilities. To try and convince him of the seriousness of their situation his wife decamps to her mother, taking their daughter, giving him an ultimatum to make his plan work or find another job. Determined to try and make a success of his new technique, Bob answers an advertisement seeking an exterminator. Only the advert is really seeking a hitman capable of murdering the head of a Bolivian drug cartel. When the hit is duly executed, Bob unwittingly becomes a contract killer of international renown and the target of revenge. What he’d like to be doing is testing his hybrid assassin bugs; instead he’s running for his life pursued by a coterie of the world’s best assassin’s looking to collect the bounty on his head. It doesn’t look good for the all-natural bug exterminator, but Bob has three things in his favour: the world number-one hitman needs to salve his conscience; the milieu of New York can be a deadly place for those unfamiliar with its terrain; and he’s the owner of some very lethal bugs. 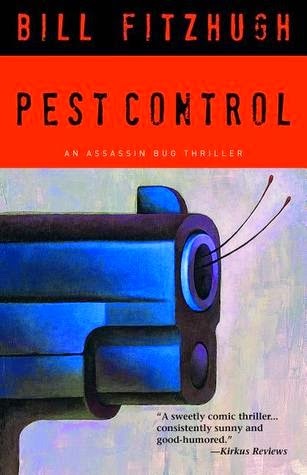 Pest Control is a screwball noir caper set in New York that plays off a confusion of two forms of extermination -- the killing of insect infestations and contract killing by hitman -- with Bob Dillon, the hapless hero of the story working as the former but being confused with the latter. The setup is very nicely done and Fitzhugh keeps up the lightly comic riff to the final page. 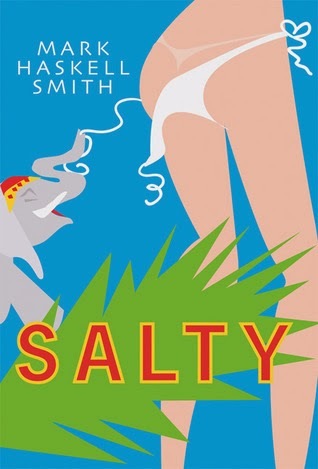 What I liked so much about the story is its warm, upbeat slant despite all the mayhem and madness taking place. Bob Dillon and his family are a genuinely likeable bunch and the baddies are cartoonish and fun. Fitzhugh also peppers the text with nice entomological detail about the various bugs that appear. 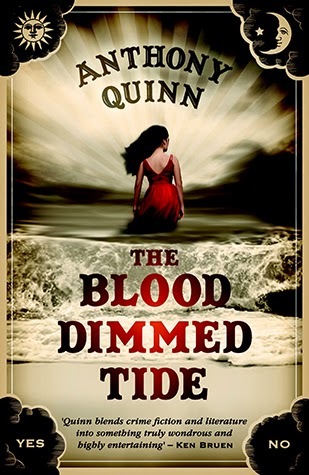 The plot is nicely constructed and well paced, with a succession of confusions, setups, twists and turns that keep the pages turning. Sure, it’s a little overly contrived in places, but that’s the nature of screwball noirs. Overall, one of my favourite reads of the year so far and I’ll definitely be tracking other Fitzhugh books down. 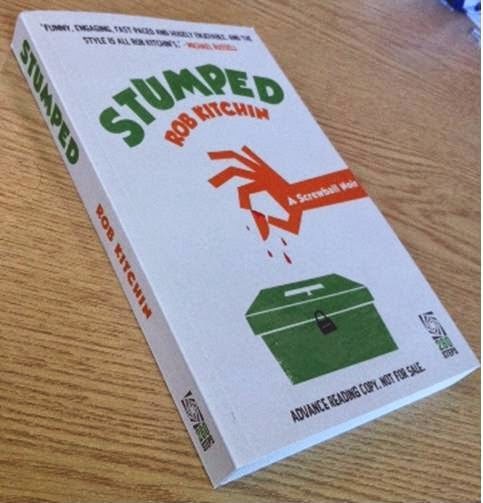 An ARC of Stumped arrived in the post on Friday. There's something really great about holding and flicking through an actual book. It suddenly makes the whole publication process tangible. 280 Steps have done a great job with the production. I'm really looking forward to it being published in November and being able to hand people a copy. 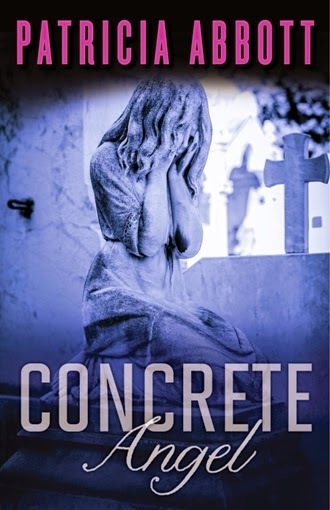 Back in February I posted about Patti Abbott's forthcoming book Concrete Angel, which was due to be published by Exhibit A (an imprint of Angry Robot). 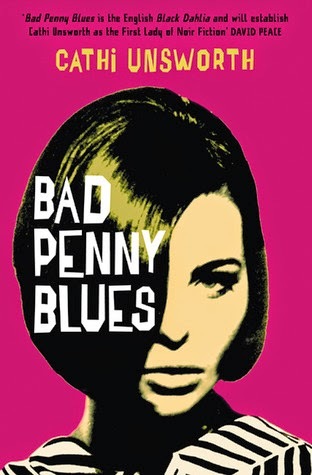 Since then Angry Robot have canned Exhibit A, pulling out of crime fiction publishing, leaving Patti and a string of other authors high and dry. Thankfully, Patti's book has been picked up by Polis Books, who have just revealed the cover (right) and below is the cover blurb. I'm looking forward to this one being published. ‘Who’d want to kill you?’ Kayleigh said, leaving the car door open. ‘Your mother for a start.’ Harry extended a rod, directing the mirror under the sill. ‘It would make a mess of us. And ...’ Harry paused, re-directed the mirror. He dropped to the tarmac and peered under the Cortina. Today's a big day in my work life. 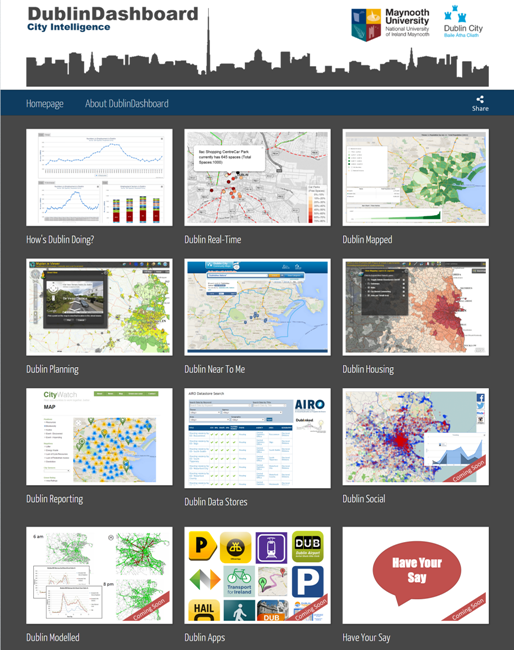 We're launching the Dublin Dashboard, a project I've been working on for the past 10 months, and one of the first deliverables from my Programmable City project. The Dashboard provides hundreds of easy to use, interactive graphs, maps and apps about all aspects of the city - economy, housing, transport, environment, health, public services, etc., including real-time information that's updated every few minutes. It's going to be busy day between the launch and media work. If you want to find out more, the short video (1.45 min) below gives a good overview. And if you want a play on the site, head over to dublindashboard.ie. For over twenty years Kim Philby operated as a Russian agent inside the British establishment, much of it working in MI6, including heading up Soviet counter-espionage. The most famous of the Cambridge spies recruited in the early 1930s, he sent thousands of copies of secret documents to his spymasters and hundreds of Allied agents and provocateurs to their death or incarceration. When asked to choose between family, friends, country and political ideology, he always chose politics. A skilled liar and accomplished charmer Philby had a knack for establishing friendships and then exploiting them, relying on them to support his ‘good name’ when accusations eventually surfaced in 1951 as to his exploits. Remarkably the strategy worked, with Philby not only remaining unprosecuted and free, but heavily defended by friends and colleagues and bought back into the intelligence fold, only defecting in 1963. It is these duplicitous friendships that Ben Macintyre explores in A Spy Among Friends, notably his relationship with Nicholas Elliott, a high-flying MI6 agent, and James Angleton, who became the CIA head of counter-intelligence. To a certain degree this does provide a new route into the story of Kim Philby and his exploits, though his charm and friendships are well known. Moreover, the Philby story is one that has been told many times before; it is one that is highly contested with multiple versions of the truth and much disinformation circulating. As a consequence, there is little in the book that has not previously been spun and reworked a few times over. Indeed, most of the material is sourced from other accounts rather than archive sources. What Macintyre offers then, is a slightly different take on an well-worn tale, but one that is told through an engaging narrative. Some books can spend an age on my to-be-read pile before suddenly popping up to the top. 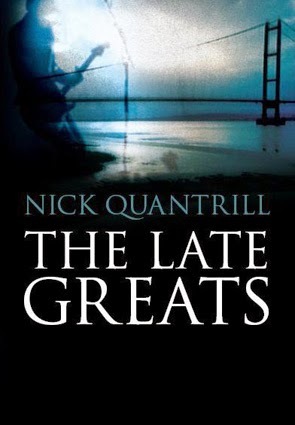 I've just made a start on Nick Quantrill's The Late Greats, the second Joe Geraghty novel. I'm not sure how long it's been stuck on the pile, but far too long. I'm not really sure why some of the books I acquire languish unread for so long. They all start near the top of the pile and then somehow shuffle down. 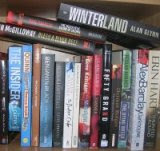 And once they slip it's difficult to jump back up given the in-flow of new books. I either need to work my way through the whole pile and try and stop a new one developing (some hope), or adopt an occassional re-shuffle policy (browse and re-order), or a deadline mandate (the book has to be read within two years of purchase, automatically being pushed to the top as the deadline nears). I'm not sure any of these will work, but I should probably adopt one of them. Suggestions welcome. The tennis ball sailed over the top of the dune, quickly followed by a black and white collie. Maria crested the ridge, the full expanse of the bay coming into view. Buster was at the surf’s edge, sniffing at a tiny pink body. As she dashed across the wet sand she spotted another small body a few yards away. Then another. Then dozens more. In Automate This, journalist Christopher Steiner, discusses the ways in which algorithms are increasingly mediating and augmenting everyday life through their deployment in a variety of industries. He makes a persuasive case, using a series of well told stories that focus on the activities of particular pioneers of creating and using algorithms. 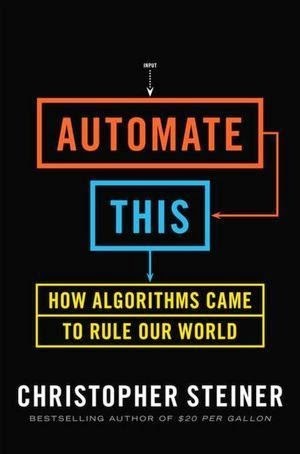 The result is an engaging and informative read that largely celebrates the development and use of algorithms and their creators, and congratulates them for finding ways to make themselves incredibly rich whilst improving the lot of mankind through better health care, financial trading, music production, a multitude of apps, etc. That said, the book suffers from a couple of troubling flaws. First, the narrative almost exclusively focuses on the development and use of algorithms in the United States, as if it’s the font of all global computing and algorithmic innovation. And second, and more problematic, is the almost total absence of any critical analysis of algorithms, the logic and rational instrumentality underpinning their use, and their wider effects on social and economic systems. Sure, the use of algorithms has its benefits, but there are also all kinds of risks and social, political and economic consequences to their use, including wide-scale economic restructuring and job losses. Occasionally Steiner acknowledges some of these risks and effects, usually in a throwaway sentence, before quickly moving on, with the suggestion that the benefits out-weigh the risks and better algorithms will address most present shortcomings. No serious attention is paid to forms of algorithmic governance or their uses in surveillance, social sorting, filtering and profiling, nor the inherent contradictions in rendering labour redundant and therefore unable to buy the goods and services algorithms create. The result is an interesting and largely optimistic book that lacks analytic depth and critical reflection. Nonetheless I have recommended it to several folk, with the warning to keep that caveat in mind. 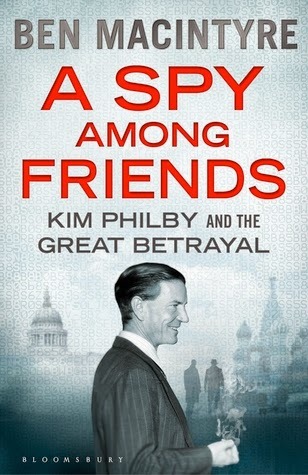 Yesterday I made a start on A Spy Among Friends about the life of Kim Philby. The argument forwarded is that Philby survived for so long as a spy inside the British establishment because of his charm and extensive network of deep friendships. What is striking about the story is that it is full of people with names such as 'Hughe Knatchbull-Hugessen', 'Hester Harriet Marsden-Smedley', 'Sarah Algeria Majorie Maxse', and 'David de Crespigny Smiley', who were mostly educated at private schools and Oxbridge, and drifted into key government posts by virtue of their class and daddy's connections. Eccentricity is a hallmark of this class 'born to rule' but nevertheless, half the anecdotes would be probably be dismissed as a little too fantastical if they were in a novel. And when one looks at the present British cabinet, it's not hard to conclude that very little has changed with respect how and by who the country is run. An interesting read so far. August proved a very good month of reading. Along with my usual contemporary fare I mixed in five books published more than 40 years ago, all considered noir classics in their different ways. 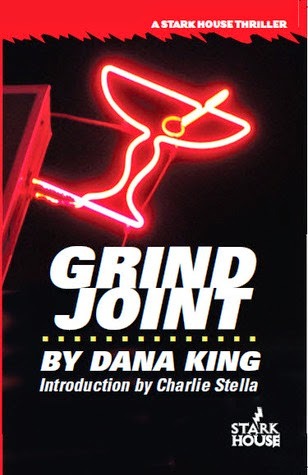 My read of the month, however, was a dark noir tale published last year, Dana King's Grind Joint.